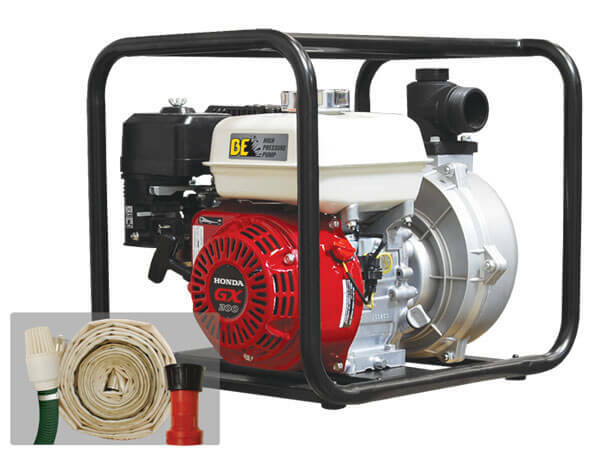 How to collect excess water at or around your house or business? 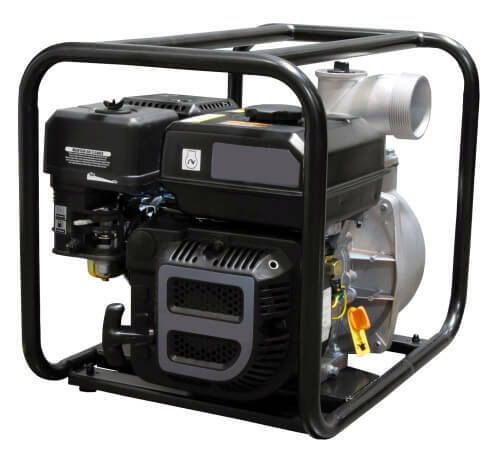 Are you in a market for a water trash pump? 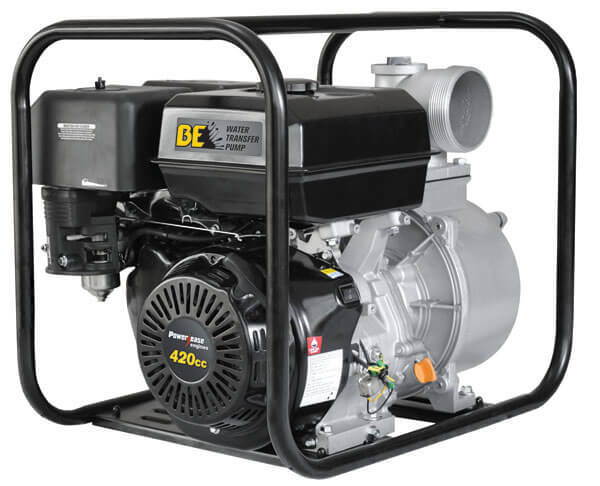 Do you need an effective, reliable and easy to operate heavy-duty unit? When you need a pump, it's often to get water out of the way so your crew can get back to work. The longer they stand around, the more it costs. 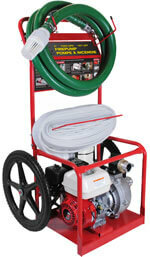 At Ultimate Washer you will find a complete selection of trash pumps that can be used for many different tasks. Our models can draw water from lakes, ponds, streams, rivers, and city water. We supply water trash pumps designed for high-volume and industrial purposes. 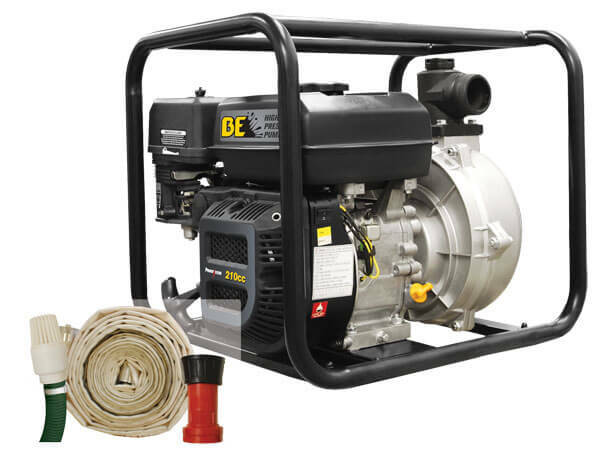 We also deliver centrifugal pumps that give you the ability to draw water containing stones, sticks, mud and other solids. Ultimate Washer versatile high pressure centrifugal pumps are designed to handle all types of clear water applications. 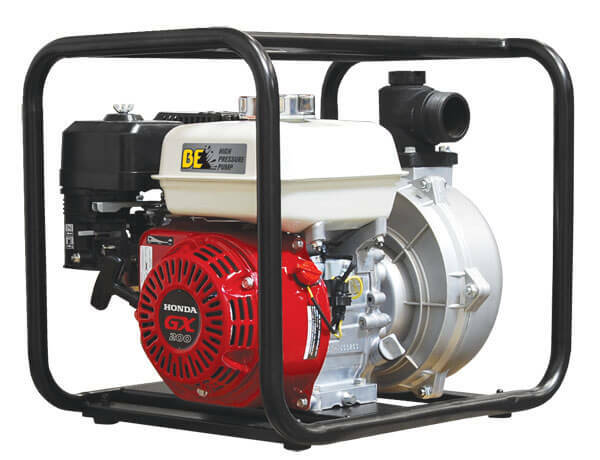 Economical and dependable, Honda trash pumps are suitable for general purpose de-watering, multiple-purpose de-watering, construction job sites, rental, municipal, agricultural applications and anywhere portable water trash pumps are needed. 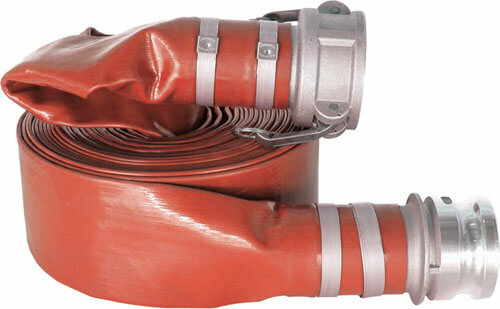 They are also ideal for residential use such as dewatering basements and swimming pools. Mounting and operation: If needed, the Powerease and Honda trash pumps can be positioned above the liquid tank or basin that is being cleaned, as they are capable of a 26 feet vertical prime (with water) and 100 feet of discharge head. 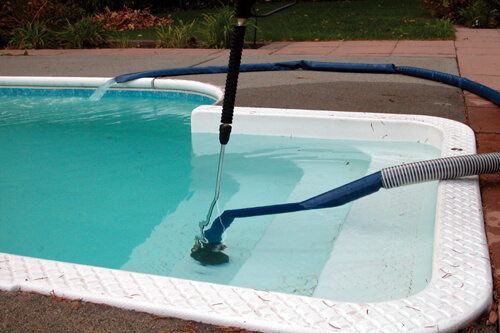 Make sure you choose a solid surface that will not disrupt pump operation. Efficient design keeps weight to a minimum while delivering maximum flow. In addition, engines deliver peak performance and minimize fuel consumption. Caution: Do not pump flammable liquids with trash pumps! High-volume , self-priming centrifugal trash pumps come standard with a ductile iron impeller to resist abrasion and "T" handles for easy cleanout. 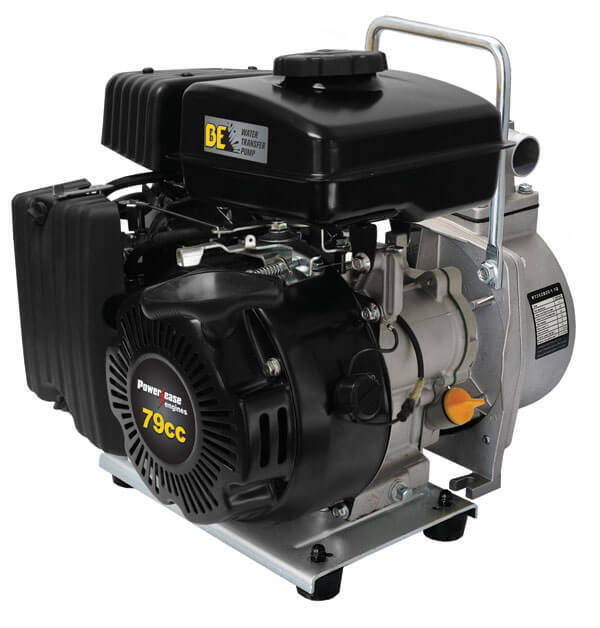 All pumps feature stainless steel internal hardware, iron wear parts, built-in check valve, suction stainer and heavy-duty steel frame. Standard with male NPT threads. WARNING: Do not use in explosive atmosphere or for pumping volatile liquids. 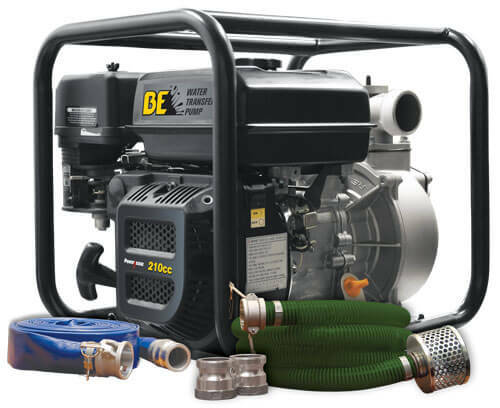 All trash pumps feature stainless steel internal hardware, iron wear parts, built-in check valve, suction strainer and heavy-duty steel frame. Standard with male NPT threads. 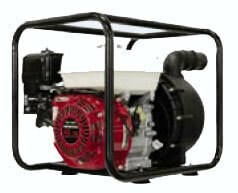 These Honda trash pumps are ideal for tank filling, floodwater removal, and lawn and garden watering. 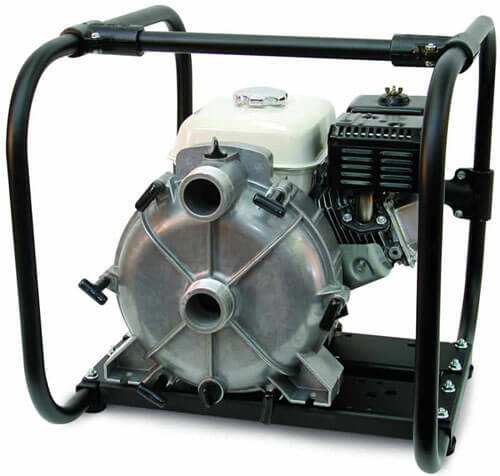 The nylon transfer pump can be used for transferring fluids and chemicals or in corrosive environments. 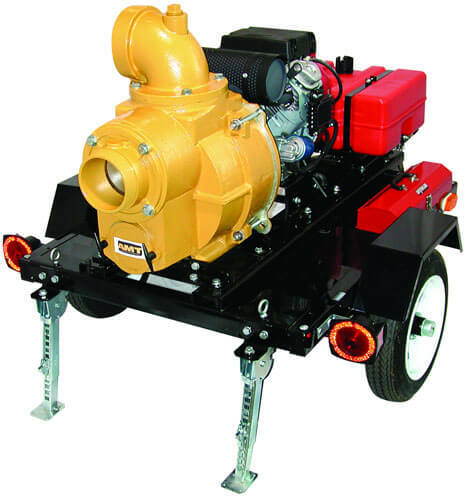 The semi-trash pumps with Powerease engine features centrifugal aluminum pump and cast iron impeller. 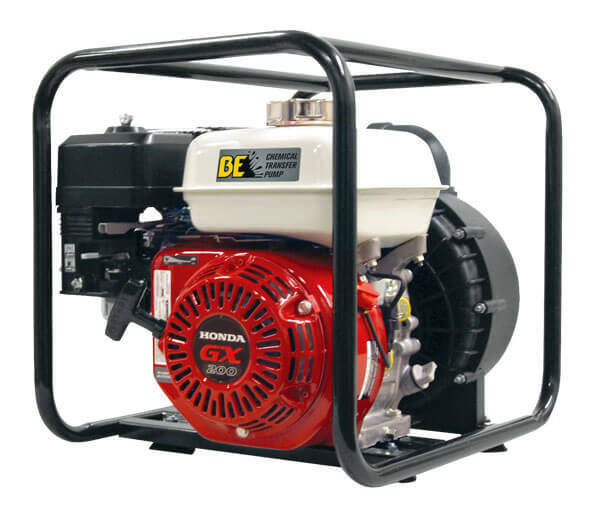 The units with Honda engine features 158 GPM maximum flow with discharge capacity and can handle up to 1" solids. 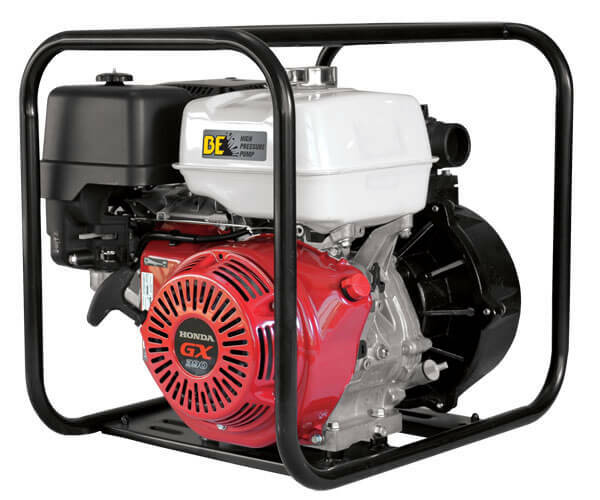 What is a General Purpose Water Pump? 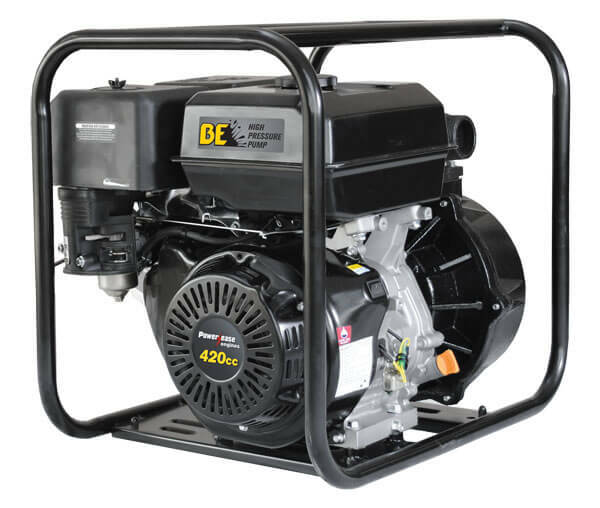 It is a water pump capable of handling 3/8” to 1/2” solids passing through the system. 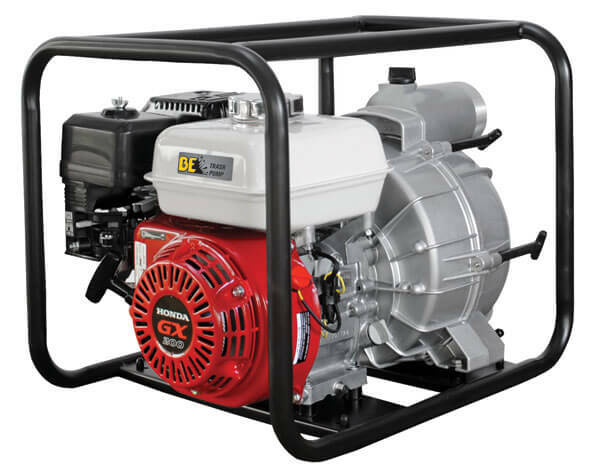 Side by side to an equal size and equal horsepower trash pump, a General Purpose Water Pump will have the same performance, but is not capable of handling large solids. 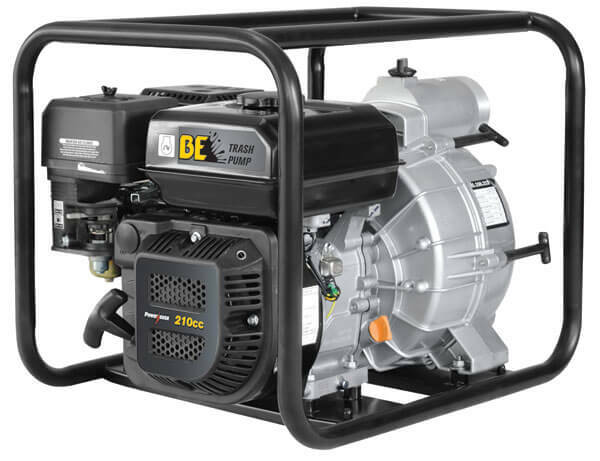 General Purpose Water Pumps are equipped with 5 to 7 vein impellers that are much shorter than those on the trash pumps. 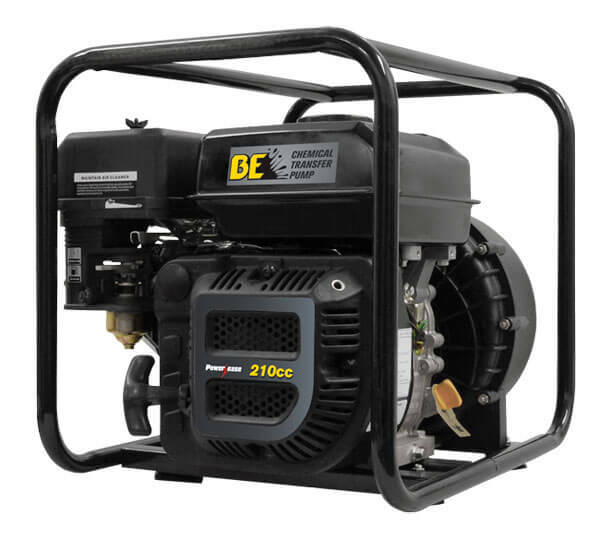 General Purpose Water Pump impellers are also constructed of cast iron or aluminum. IPT line of pedestal drive water trash pumps are available for flex-coupling to an electric motor. All models are constructed of cast iron, G-Ruff Coat Teflon, for a longer life. 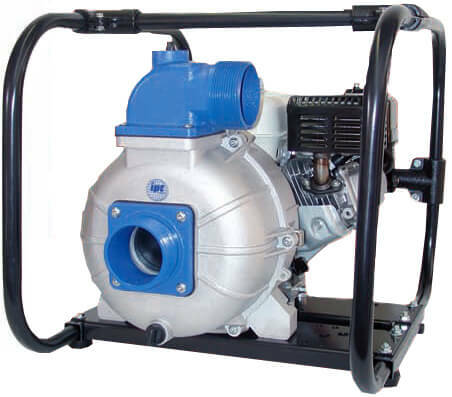 Pumps come standard with cast iron volute and with threaded ductile iron impeller. These cast iron trash pumps are designed with T-handles for an easy clean out. This line of Engine Driven Trash Pump is designed for applications which require high flow efficiency and solid handling capability. 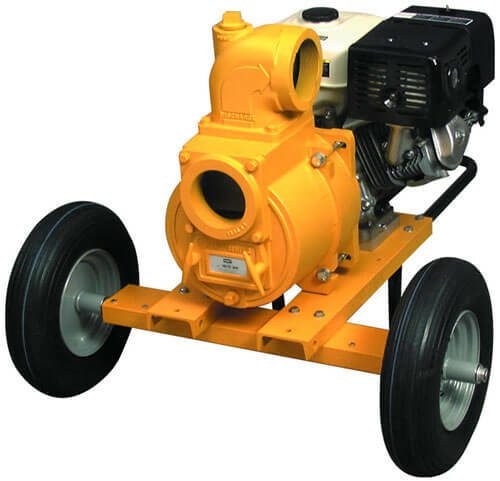 Pumps are constructed of heavy-duty sand cast components. 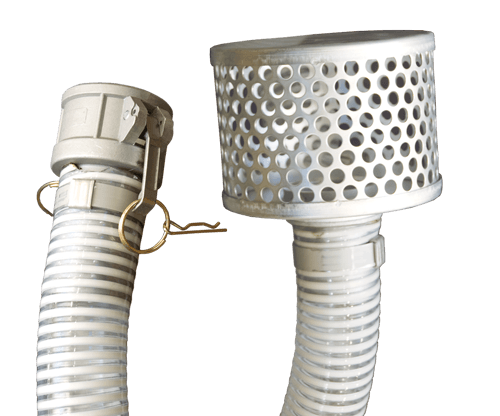 Simple cleanout design permits easy removal of trash and debris without disconnecting hoses. An electric start option is available. 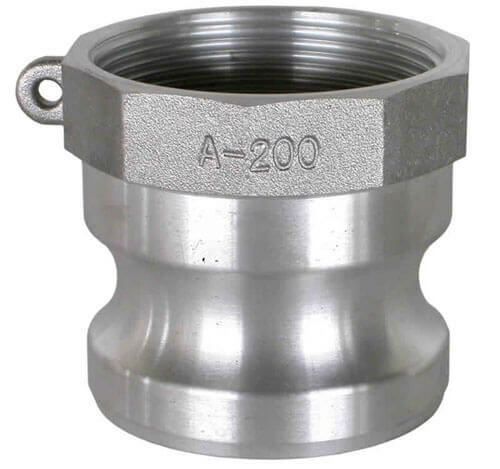 The camlock adapter threads onto the inlet and/or the outlet of the pump. The coupler hose barbs fit onto the hose, which can then be easily attached to the adapter. All camlocks are made of aluminum. 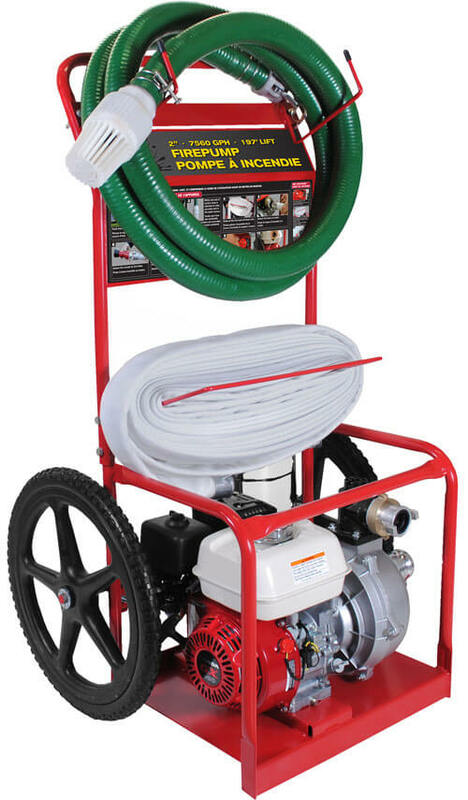 IPT has designed wheel kits for roll frame mounted pumps (3.5 thru 9 HP) to make them more accessible. Choose from Semi-pneumatic or pneumatic wheel kits. Includes 10" - 16" tires (depending on model) on steel wheels with cast iron clamps and steel handle for universal mounting to frame.